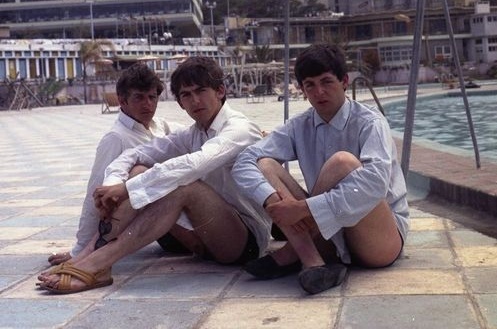 In May 1963, just a few weeks before Beatlemania, Paul, George and Ringo took a holiday in Tenerife. It was the last time they would spend such carefree days without being recognised. They lazed around San Telmo Lido and got themselves a sun tan while John Lennon and manager Brian Epstein chose to holiday in fashionable Torremolinos. 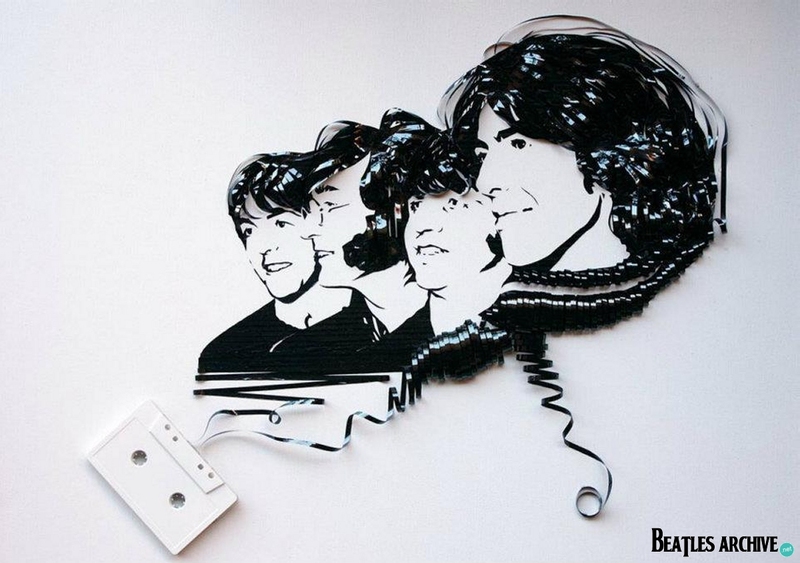 Another desktop wallpaper based on the funny image I’ve already seen so much times on yhe web: it’s a cassette tape that drawns the Beatles’ face. 1200 x 845 pixels image. Free download.